Kids today demand more from their toys, since mobile devices have freed them from the burdens of imagination. 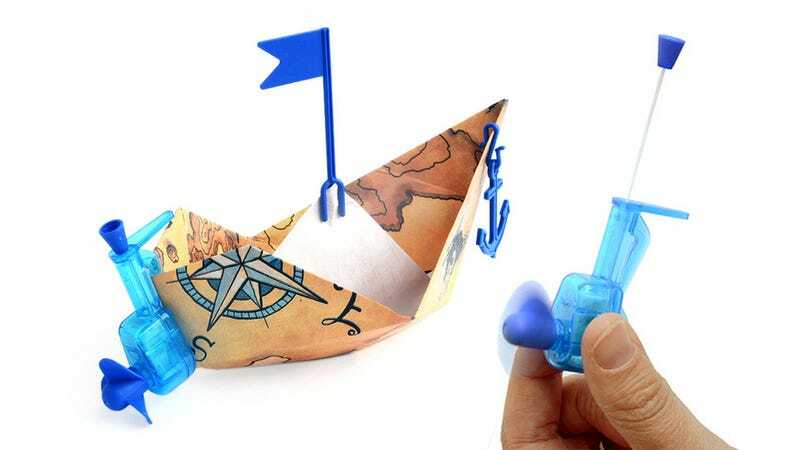 So if you were thinking of introducing your kids to the DIY joys of origami, the wonders of seeing a paper boat actually float won't be enough. You'll also need this tiny outboard motor so it can cruise around your bathtub on its own.